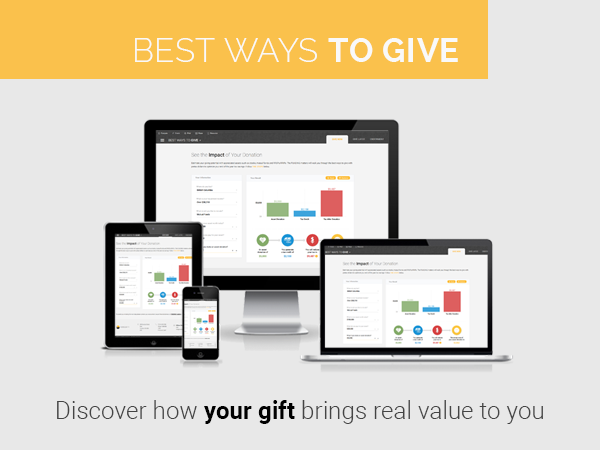 Giftabulator® – Maximize Your Donor Gifts Today | FUNDING matters® Inc.
FUNDING matters® launches GIFTABULATOR® NOW, a planning app that shows users how to minimize taxes while also making the world a better place. TORONTO, ON, January 30, 2019 — FUNDING matters® Inc. is excited to announce that they have officially launched GIFTABULATOR® NOW, an Estate, Financial and Philanthropic planning app that shows you how to minimize taxes (everyone’s dream) while also contributing to charitable causes. Whether you are a charity competing for donor dollars or a financial advisor offering clients a cutting-edge service,GIFTABULATOR® NOW is the invaluable tool that will easily demonstrate the potential giving capacity of every individual. GIFTABULATOR® NOW is easy to understand, easy to use, and easy to explain to others. You simply input current financial information and the app does the rest. You’ll soon be able to forecast your own, or a client’s, potential for giving by charting the course for a zero tax bill and getting tips on preserving your lifestyle of choice while still giving back. With this interactive and intuitive app, advisors are able to easily demonstrate scenarios which can be customized, enabling individuals to see the impact of their own effective estate planning, charitable giving and tax minimization. GIFTABULATOR® NOW allows donors to be in control of their financial futures, pay less tax and do some good along the way. You can learn more about the unique capabilities of this app by visiting www.giftabulator.com or try the app live here. FUNDING matters® Inc. is a premier philanthropic advisory firm comprised of a dedicated, knowledgeable team of professionals with the passion and experience to develop exceptional capital, endowment and major gift campaigns. From small organizations looking to build sustainable funding models to mega projects requiring advanced philanthropic skill, FUNDING matters® is proud to offer opportunities that address an organization’s current and long-term planning. For more than 20 years, FUNDING matters® Inc. has been a leading North American consultancy and technology company, advising not-for-profit groups, wealth management firms, and government agencies on building sustainable funding models. When needed, they also participate in strategic funding opportunities including feasibility/planning studies, strategic communications and organizational financing. For more information on the services and tools that FUNDING matters® offers, please visit www.fundingmatters.com or contact them using info@fundingmatters.com or by calling 1-800-856-1354. This entry was posted in GIFTABULATOR. Bookmark the permalink.